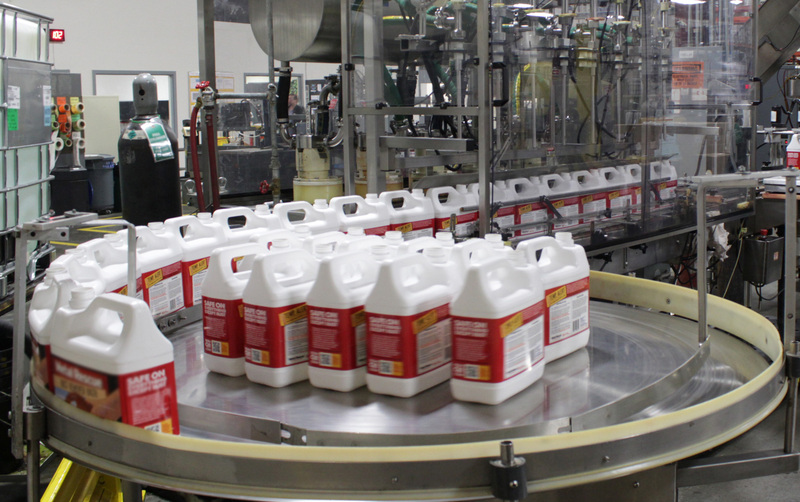 We fill a vast array of liquid products in a multitude of packaging configurations, and our packaging lines are designed for both low and high volume runs. From small bottles to large industrial containers, we have the flexibility and capacity to meet your filling and packaging needs. Our Michigan facilities specialize in filling liquid products in various run sizes with quick change-overs. Flexibility is the cornerstone of our business and it is paramount to meet the changing needs of our customers and shifting markets. We fill a variety of bottle designs, in various quantities (small runs of less than 2,500 units to larger runs in excess of 1,000,000 units) and sizes to ensure we meet the ever changing needs of our clients. We make every effort to be certain they stay in the forefront of their markets. Each packaging configuration can vary in shape, color, closure type, decoration and carton depending upon the product application or packaging attributes desired. Some examples of these are: sprayer bottles, dabber packages, dispensing caps, wipes, tubs, and jars. We also package squeeze tubes and cartridge products such as silicones sealants, adhesives and specialty greases. Whether you need a motor oil, gear oil, transmission fluid, leather lotion, car wash, auto or marine polish, solvent cleaner, fuel system additive, shoe polish or a cleaning wipe, we have the right solution to meet your needs today, and into the future.